Quang Binh University was established pursuant to the Prime Minister’s Decision No.237/2006/QD-TTg dated October 24th 2006 on the foundation of Quang Binh Education College formerly known as Quang Binh Secondary Education School founded in 1959. 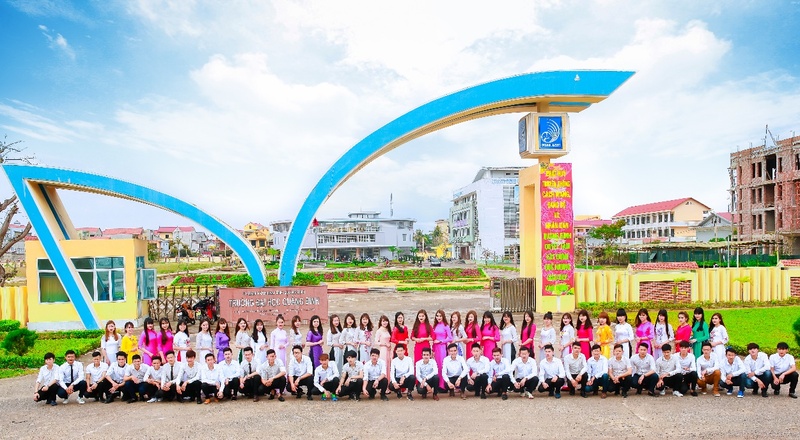 It is the only public education organization in Quang Binh province formulti-disciplinary, multi-level education: Junior College degree, Bachelor degree and Master degree. Its mission is to train highly-qualified human resources primarily for Quang Binh and neighboring provinces in the central part of Vietnam; promote international cooperation and collaboration with foreign universities in training, scientific research and culture exchanging; support training for the border provinces of Laos. Over more than half a century of establishment and development, with the great contribution in the cause of education and training, the university was honored to receive the Victory Medal, the Resistance Medal, the Labor Medal and Competitive Flag, Merit of the Government, Ministry of Education and Training and of Quang Binh province. Located in the center of beautiful Dong Hoi city, QBU has two campuses. The first one with a land area of 12 hectares is a spacious location including our headquarters, faculty offices, learning resources center, lecture hall, sport house and dormitory. Additionally, Quang Binh University also operates the Research and Experiment Center of Agriculture, Forestry and Aquaculture, based on the northern west of Dong Hoi city with the total area of 20 hectares. Guarantee a satisfactory student quality is always the paramount priority of Quang Binh University. The training quality, ability to use knowledge, professional skills and moral qualities of students in practical activities is considered as a success ruler of the university. Albeit many ups and downs in the process of establishment and transformation, Quang Binh University has presently stabilized and thrived. There has been a significant amount of innovation in the management and training to enhance the quality of teaching, scientific research, promote the initiative and creativity of students. By the determination of the leaders of the university, along with the especial attention from the Quang Binh Provincial Party Committee, People's Committee and the local people, all faculty members and students of QuangBinh University will strive to fulfill the assigned tasks, establishing Quang Binh University to become a reliable address for training of highly qualified human resources, sufficing society needs and becoming a top center of scientific research and transfer of scientific and technological applications in Quang Binh province. Quang Binh University is a public university, with the mission of training high quality human resources; carrying out scientific research and technology transfer for socio-economic development of Quang Binh province and the whole country. Quang Binh University is oriented towards application developments. Making attempts to become a prestigious university in the country and in the region; it is the leading center for high quality human resource training and transfer of science and technology applications in the North Central Region. Upgrading the quality of teaching, learning and scientific research to provide students with the best conditions to develop comprehensively their professional skills in order to satisfy the demands of society and international integration. - Quality, efficiency and sustainability. - Achievement of students after graduation is the measure of the success of the college.